Former member of the US House of Representatives Ron Paul does not believe bitcoin is ‘true money,’ but he is still a big fan of the concept. Ron Paul is one of the most prominent libertarians on the US political scene. Much of the libertarian movement is in favour of digital currencies, either through active support and endorsement, or by advocating no government interference and regulation. 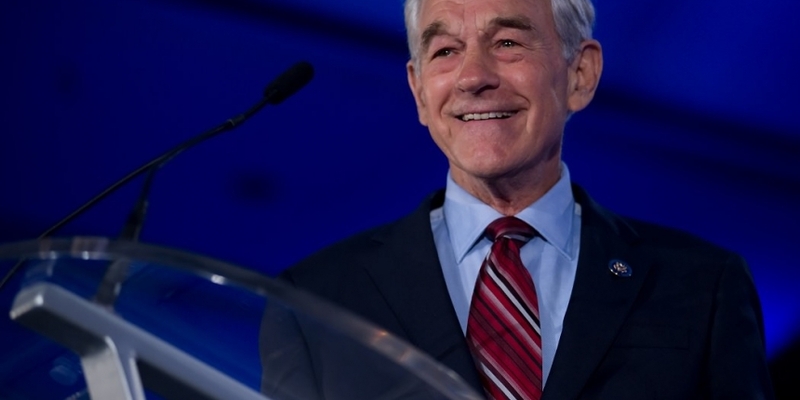 Ron Paul even got the distinction of having an altcoin named after him. He never shied away from controversial issues and he never kept his love of bitcoin a secret. Paul’s views on the state of our current financial system are more or less known and he reiterated his position on Quora this week. When asked why he thinks bitcoin does not fit the definition of money, Paul said it is his personal opinion, but that it should be irrelevant in the big scheme of things. “Though I don’t personally believe that bitcoin is true money, it should be perfectly legal and there should be no restrictions on it, there should be no taxes on it. The people who operate bitcoin would, of course, be prohibited from committing fraud but the people should be able to have competition whether it is a basket of commodities or crypto-currencies – it should be perfectly legal,” said Paul. He argued that freedom from government intervention on the Internet is a prerequisite for the development of digital currencies. Paul said he is concerned that the government may want to curtail Internet freedoms. He warned that everyone should be concerned about government interference online regardless of their position on digital currencies. The former Congressman pointed out that he sees bitcoin as a very interesting subject and that he has been a champion of legalising competition in currencies for many years. “We have a terrible monetary system today. We have a government that purposely counterfeits and debases the currencies, and I believe that the alternative would be a competition. That means that anything that wants to substitute for the American dollar should be permitted. Paul stressed the importance of keeping the Internet free of government interference and at the same time keeping digital currencies alive and legal. He warned that the financial system is run by a cartel and by special interests. “We want a system that truly challenges the government in their ability to take care of the very wealthy at the expense of the middle class and the poor,” he concluded. Ron Paul image via Shutterstock.